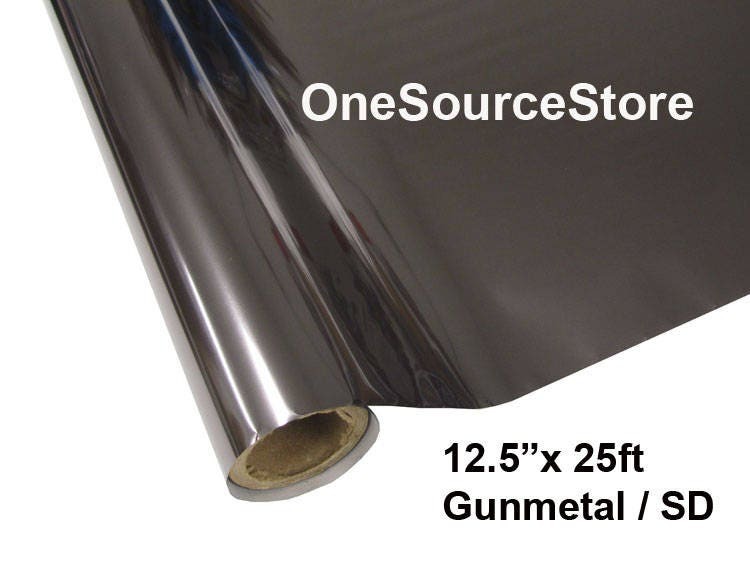 HTV Textile Foil* / 12.5 x 25 ft / Gunmetal / SD - Different process used - please read before ordering. HTV Textile Foil* / 12.5 "x 25 ft / Gunmetal / SD - Different process used - please read before ordering. NOT FOR BEGINNERS. Please read all information and instructions before ordering. *PLEASE READ ALL INFORMATION ABOUT THIS FOIL BEFORE PURCHASING. THIS FOIL IS APPLIED DIFFERENTLY THAN OTHER VINYL. AN ADHESIVE (EasyWeed Adhesive) IS NEEDED AND MUST BE PURCHASED SEPARATELY. Used rolls cannot be returned for a refund. Metallic look with Soft Feel / We stock over 70+ colors & designs of textile foils. 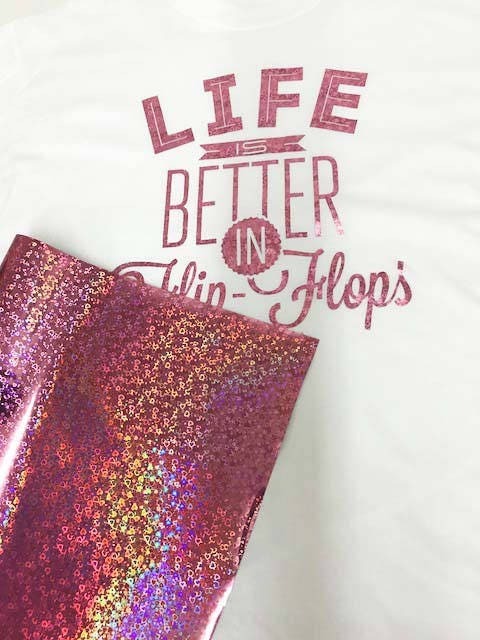 Metallic foil Transfer is a special eye catching graphic effect for t-shirts. It produces a shiny “metal-appearing” surface on various types of fabrics (not stretch) by using a heat press or home iron. 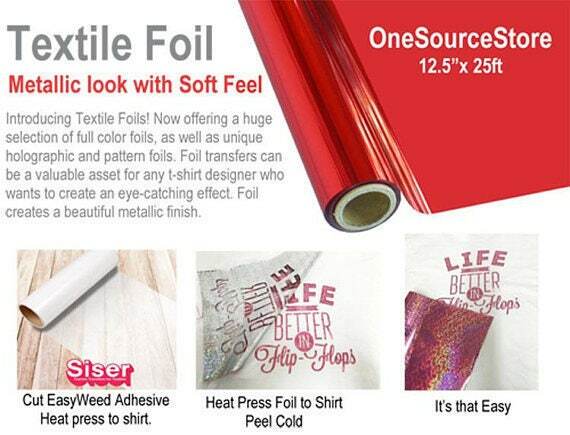 Heat Transfer Foils can be applied using a cuttable adhesive such as Siser EasyWeed Adhesive. Shown under Siser Easyweed Adhesive on our Etsy Site. EasyWeed Adhesive is CPSIA Certified, so it can be used for decorating children’s clothing and apparel. 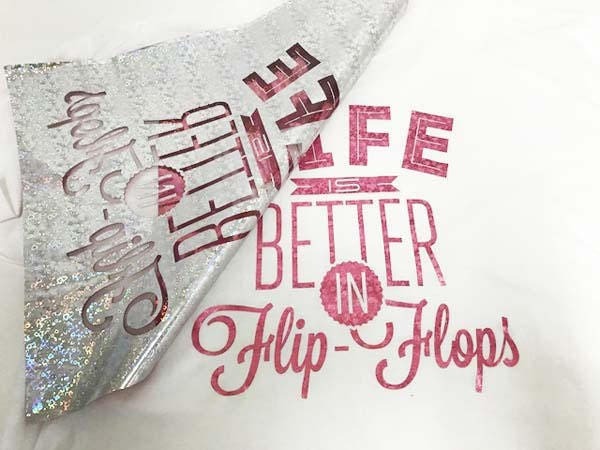 • Place foil over top of the image / must be applied shiny side up. • Cool Peel Foil / Rub with a cloth, let cool completely, then peel. This item does come with instructions!